Freshen up your look for fall with these awesome COVERGIRL products! I apply my makeup once a day and then forget about it. I’m too busy for touch-ups. COVERGIRL can help make your look last the day so you can spend more time on your to-do list and less in the mirror! Start with COVERGIRL Outlast All-Day Primer to prep your skin. It helps to extend your foundation, hide pores and leave your face smooth and fresh. Then apply your COVERGIRL Outlast Stay Luminous Foundation. It has light reflecting particles and over 40% skin conditioning agents so your skin looks healthy and glowing. Best of all, it’s natural looking. Make your lips pop with one of the 12 shades of COVERGIRL Outlast Longwear Lipstick. It’s waterproof formula makes your colour last all day long. On your nails, try COVERGIRL Outlast Stay Brilliant Nail Gloss so your nails can shine for the next 7 days! Which of these fall beauty products are you looking forward to trying the most? The lipstick looks like a great shade to try! I love the look of the lipstick! I would love to try the Outlast Luminous Foundation the most! I would love to try the Outlast Longwear Lipstick. I want to try the foundation the most. 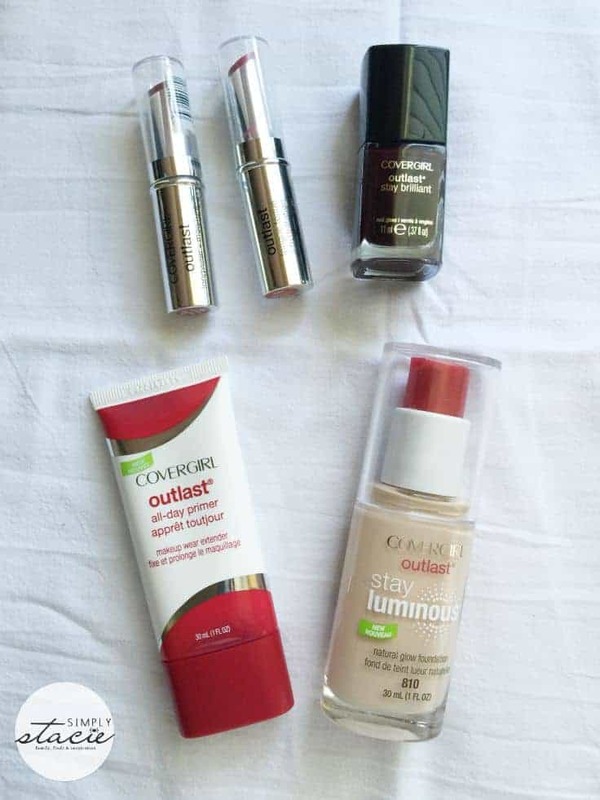 I’s love to try the COVERGIRL Outlast Longwear Lipstick! I would love to try the Cover Girl Outlast Longwear Lipstick. The product I would be most excited to try is the Covergirl Outlast All-Day Primer. I’d love to try that primer. The Stay Luminous Foundation! I would LOVE to try that. My skin always looks dry when I put foundation on. COVERGIRL Outlast Stay Brilliant Nail Gloss is the product from covergirl I would like to try. I would love to try the primer as I haven’t used one before! Looking forward to trying them all but would LOVE to try the all-day primer, I’m in need of it!